My kids are ready to learn long vowels! In kindergarten we focus on CVC-E words. I created this powerpoint slideshow to help them learn these tricky words. This powerpoint has 47 CVC-E words, and pictures. The CVC-E patterns covered in the slideshow are CVC-E versions of long a, i, o, and u. (e is not included as there are very few words with this pattern). 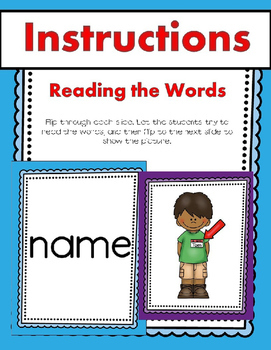 You will flip through the slides and your students will read the CVC-E words. After each slide with the word is a slide with the correct picture to match. 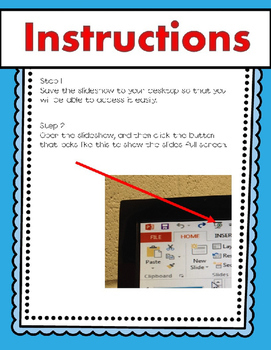 This was provided so that your students can check themselves. 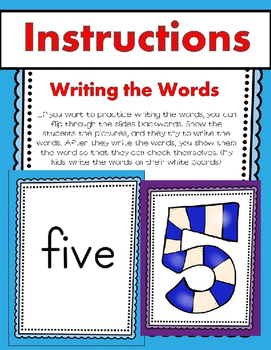 You can also use this slideshow to practice writing the words. 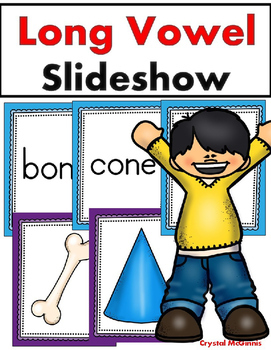 This is a great way to practice long vowels whole group using your projector. The kids love it and it holds their attention much more than paper and pencil! This slideshow was created to use with a projector, so please make sure that you have one available before you make your purchase. Thanks! YOU MIGHT ALSO LIKE MY OTHER SLIDESHOWS. CLICK THE LINKS TO SEE THEM.